The narrative of Canada’s telecom industry is beginning to ring loudly in the ears of Canadians. Unfortunately, what PCMag calls “world class” in its annual report on Canadian wireless carriers, costs Canadians a world class price. Just weeks ago, the CRTC released a comparative report that outlined the various prices paid for telecommunications services across the developed world, and found once again that Canada sat comfortably around the top tier in every category. 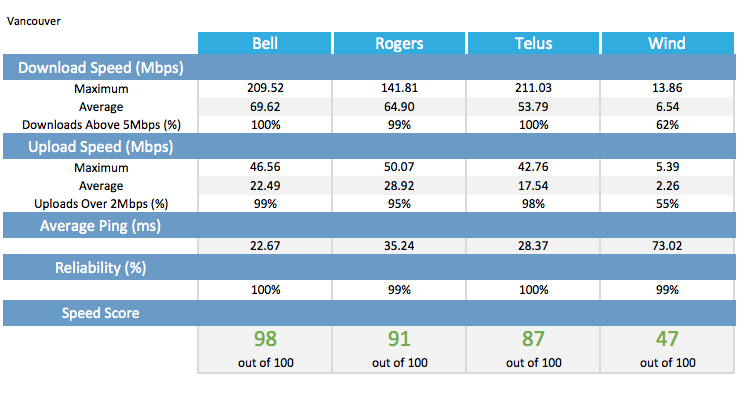 PCMag refers to this report heavily in its latest analysis of Canadian wireless carriers, in which it once again names Bell as having the fastest and most robust 4G LTE network across the country. The information for this report was gathered between July 25th and August 16th across 19,000 data points. Each location was tested for at least 15 minutes, though only data networks were tested. Call completion and text message delivery were not tested as part of this report. Canadian networks boast download speeds of nearly double that what their American neighbours do. The authors use the example of Verizon, which averages 27.8Mbps down, while Bell averages 59.7Mbps down. While Bell is the largest and fastest network across the country, the strength of the carriers seems to differ widely from region to region. For example, while in Rogers and Bell trade off on the leading spot frequently in smaller cities, in the Greater Toronto Area, Bell is the clear winner. In general, though Southern Ontario pays close to the highest wireless fees in the country, coverage in the region is reportedly “spectacular.” The Toronto, Windsor, Kitchener/Waterloo, and Cambridge areas are best supported by Bell, while Rogers comes out on top in London and Hamilton. The authors of this report specifically point out that where Bell won, it did so by a lot whereas where Rogers won, it did so by a little. A unique case this year appears to be Ottawa, the country’s only major city with five viable carrier options. Among Rogers, Bell, Telus, Videotron and Wind however, Videotron comes out on top as the best option for residents. This offers residents the option of $66/month talk, text and data plans whereas the average person in Southern Ontario is unlikely to pay under $90 monthly for telecom services. This case study goes on to prove the argument that where there’s more competition, residents get a better deal. Videotron also takes the lead in Montreal and Quebec. Bell also keeps prices down in Quebec, offering a 6GB plan at $75 compared to Videotron’s 6GB price of $66. The prairies sing a vastly different tune than the bustling networks in Ontario. Point blank, the prairies are slow. Manitoba and Saskatchewan may have some of Canada’s lowest prices, but they also have some of the slowest networks. Rogers and MTS in particular have extremely poor coverage in the area, occasionally falling below the minimum government standard of 5Mbps down. Bell and Telus however, share a network in Manitoba and record consistent, reliable coverage in PCMag‘s overall ratings. Despite the spotty coverage of MTS, the network has one major thing going for it; an unlimited plan. Unlimited data plans have yet to make their way to Canada’s largest carriers, making a plan like this a rarity. Furthermore, PCMag reports that the mere presence of MTS in the region keeps the prices down for Manitobans across all the carriers in the area. The same goes for Saskatchewan, where although speeds are slower, the presence of SaskTel keeps prices down among other carriers as well. Eastlink has made itself a staple in the Atlantic provinces, such as Nova Scotia and Prince Edward Island. While it’s coverage is extremely reliable and it’s plans are cheaper than nationwide carriers, PCMag found that coverage in Nova Scotia dried up east of Antigonish. PCMag determined that the rest of the country would do well to stick with one of the Big Three for telecom services. In Calgary, Rogers recorded extremely fast upload speeds, which pushed it just ahead of Bell and Telus. Rogers’ momentum continued into Edmonton where PCMag recorded faster upload and download speeds across the board. Alberta however, has the most expensive wireless plans of all the prairie provinces due a lack of real competition from its fourth carrier, Wind. Heading over to the B.C. area where Rogers reigned supreme last year, PCMag found that Bell had usurped its fellow telecom in Vancouver this year. Rogers, however, maintains its lead as the best option for residents in Victoria. It’s important to note that while Bell and Telus share towers, Bell came out ahead of Telus in each of the 19,000 data points tested throughout this study. 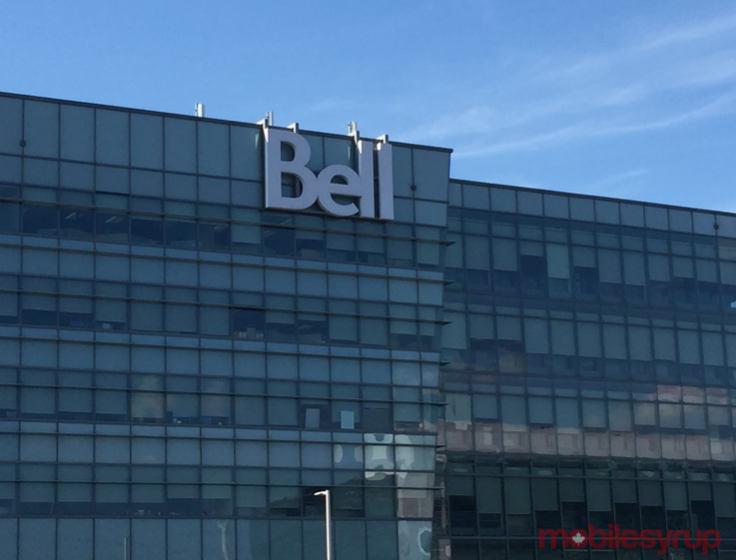 According to the report, Bell has benefited for two years from partnership agreements with Telus and SaskTel. Rogers, though not the fastest, is still the nation’s largest carrier and dominated the tests between 2010 and 2014. The Bell/Telus partnership has pushed Bell to the forefront in recent years. The two carriers now use tri-band carrier aggregation, a system that ties together three different bands of spectrum into an information super highway. Depending on the device, subscribers on those networks can use LTE Category 9 to hit some of the fastest speeds in Canada. According to PCMag, supportive handsets include the HTC 10 and a wide range of Samsung Galaxy phones from the Note 5 to the Galaxy S7. PCMag remarks however, that while Canada’s network carriers far surpass American telecoms in speed and reliability, they also do so in price. Where America’s biggest carriers, Verizon and AT&T, don’t differ much in price from Canada’s Big Three, the real difference lies in the aggressive discounting seen by America’s smaller operators such as Sprint, T-Mobile and MetroPCS. Fido, Virgin and Koodo, Canadian equivalents, offer plans at prices slightly discounted rates of their parent companies – all around $90 CAD. Furthermore, while the U.S. has a rapidly growing sector of MVNOs, Canada’s big three carriers have generally been unwelcoming to MVNO agreements. Furthermore, prices in Canada seem to depend very much on whether or not there are viable regional competitors, explaining the vast difference in price between the Manitoba and Ontario. Competition may lessen even further if Bell’s acquisition of Manitoba’s MTS goes through seamlessly, leaving residents of Winnipeg fearing up to a 50 percent increase in prices. Government attempts to nurture a fourth carrier have failed repeatedly. Prime examples include Mobilicity, Public Mobile, and any expansion outside Eastern Canada by Videotron. Furthermore, Wind has changed hands several times. PCMag determines that the best chance for real competition in Canada is Shaw’s purchase of Wind and its launch of a new LTE network by early 2017. While it might raise Wind’s regional rates, it’s unlikely they’ll raise so much as to fill the gap between them and the Big Three.